Facebook CEO Mark Zuckerberg recently unveiled major changes to the social network’s news feed algorithm. The changes will prioritize content from family and friends and minimize the amount of content posted by media outlets and business pages. Businesses and brands who rely on social media for organic advertising will need to change up their strategy in the wake of Facebook’s new algorithm. After generating feedback from their worldwide user base, Facebook decided to overhaul their news feed algorithm to prioritize content from friends and family in order to create a greater feeling of “community”. This comes on the heels of complaints from users about news stories and company advertisements taking over their news feed and drowning out posts from the people they care about, leading to feelings of disconnect with the social network. The changes to the news feed mean that your Facebook business page posts will have a much more difficult time drawing views, as it’s estimated that the organic reach of business pages is now as low as 2 percent. This recent move by Zuckerberg and Facebook is a clear message to businesses worldwide about having to pay to play for advertising, with the social media behemoth using the changes to bring in more advertising revenue from their unique advertising platform. A recent study conducted by the Pew Research Center revealed that Facebook continues to be the world’s most popular social network, with 68% of US adults on the platform. With more than 2.13 billion monthly active users worldwide accessing Facebook, it’s clear that the social networking giant isn’t going anywhere anytime soon. The closest social network in popularity is Instagram, a Facebook subsidiary, which is used by about 35% of American adults. These findings make it clear that the best option for businesses isn’t to stop using the platform for advertising, despite the recent changes to the news feed. Facebook paid advertising is offered in two forms – boosted posts and more traditional social media ad placements. Paid social advertising through Facebook brings with it the advantage of specific targeting for a variety of parameters including location, keywords and interests, age, and income. This allows for a great deal of flexibility for businesses who like to ensure that their messages and boosted posts aren’t falling on deaf ears – by finely tuning your audiences, your ROI will be much higher than relying on organic reach. Another great option for businesses looking to spend their advertising budget on an effective solution comes in the form of Google AdWords. Google’s advertising platform is the most popular pay-per-click method in the world, taking advantage of the internet’s most widely used search engine. Google AdWords puts a focus on targeted keywords selected by businesses, promoting products and services through Google search queries. AdWords users are charged per advertisement click, giving businesses the most out of their advertising budget as it promotes action rather than reach. The pay-per-click model gives businesses the freedom to find new leads and audiences through the search terms they use on the Google search engine. Google is used for more than 3.5 billion searches worldwide every single day, opening up your business to an infinite amount of potential reach and action from new customers. 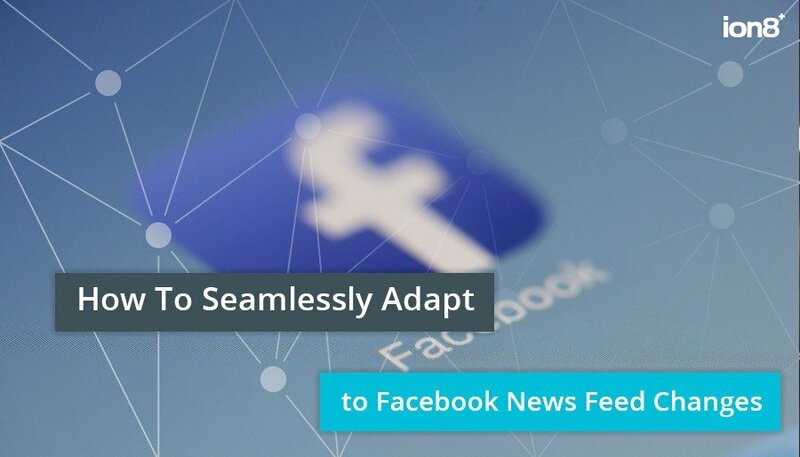 Facebook’s newly implemented news feed algorithm has left businesses in the dust in terms of free organic reach, but the options left to users have been proven to be far more effective. Both Google AdWords and Facebook’s ad platform can be tailored for businesses and budgets of every size, helping customers discover your business through their own interests and searches, and generate new leads for your organization. For more information on how ion8 can help transform your business through a Google AdWords campaign, visit our website or contact us today. Previous Post 2017: The Year of Awesome for ion8 Next Post Is Your North American Business GDPR-Ready?